I just sold this Townhouse at 102 426 BEACH CRESCENT, Vancouver West, BC Yaletown. I just sold this Condo at 101 638 BEACH CRESCENT, Vancouver West, BC Yaletown. I just sold this Condo at 801 138 ATHLETES WAY, Vancouver West, BC False Creek. I just sold this Condo at 1106 1033 MARINASIDE CRESCENT, Vancouver West, BC Yaletown. I just sold this Condo at 1405 128 W CORDOVA STREET, Vancouver West, BC Downtown VW. I just sold this Condo at 203 2370 W 2ND AVENUE, Vancouver West, BC Kitsilano. I just sold this Condo at 106 2250 W 3RD AVENUE, Vancouver West, BC Kitsilano. I just sold this Condo at 401 2520 MANITOBA STREET, Vancouver West, BC Mount Pleasant VW. I just sold this Townhouse at 211 889 W 7TH AVENUE, Vancouver West, BC Fairview VW. I just sold this Townhouse at 102 1515 HOMER MEWS, Vancouver West, BC Yaletown. I just sold this Condo at 1603 33 SMITHE STREET, Vancouver West, BC Yaletown. I just sold this Condo at 503 1201 MARINASIDE CRESCENT, Vancouver West, BC Yaletown. I just sold this Condo at 703 989 NELSON STREET, Vancouver West, BC Downtown VW. I just sold this Condo at 505 88 W 1ST AVENUE, Vancouver West, BC False Creek. We are proud to announce that this Apr 29th, 2:00 PM to 4:00 PM we will be hosting an Open House at 503 1201 MARINASIDE CRESCENT in the Yaletown neighborhood, Vancouver West. This is an opportunity to visit this excellent Condo for sale in beautiful Yaletown. We are proud to announce that this Apr 28th, 2:00 PM to 4:00 PM we will be hosting an Open House at 503 1201 MARINASIDE CRESCENT in the Yaletown neighborhood, Vancouver West. This is an opportunity to visit this excellent Condo for sale in beautiful Yaletown. I just sold this Condo at #1006 1308 Hornby Street, Vancouver, BC Downtown. I just sold this Condo at 503 1189 MELVILLE STREET, Vancouver West, BC Coal Harbour. View my new listing for sale at 902 - 1189 Howe Street, Vancouver and currently listed at $799,000. View my new listing for sale at 407 - 2678 Dixon Street, Port Coquitlam and currently listed at $399,000. View my new listing for sale at 3503 - 833 Seymour Street, Vancouver and currently listed at $1,499,000. View my new listing for sale at 1507 - 588 Broughton Street, Vancouver and currently listed at $620,000. View my new listing for sale at 1502 - 1200 W Georgia Street, Vancouver and currently listed at $739,800. View my new listing for sale at 205 - 2401 Hawthorne Avenue, Port Coquitlam and currently listed at $249,000. I have just recently sold this listing at 21943 Wicklow Way, Maple Ridge. I have just recently sold this listing at 1201 - 1280 Richards Street, Vancouver. I have just recently sold this listing at 1608 - 555 Jervis Street, Vancouver. I have just recently sold this listing at 2205 - 938 Smithe Street, Vancouver. I have just recently sold this listing at 2407 - 588 Broughton Street, Vancouver. I have just recently sold this listing at 408 - 2678 Dixon Street, Port Coquitlam. I have just recently sold this listing at 1805 - 555 Jervis Street, Vancouver. UPDATED: West Central Open House! We are proud to announce that this Dec 4th, 1:00 PM to 3:00 PM we will be hosting an Open House at 21943 Wicklow Way in the West Central neighborhood, Maple Ridge. This is an opportunity to visit this excellent House for sale in beautiful West Central. We are proud to announce that this Nov 26th, 2:00 PM to 4:00 PM we will be hosting an Open House at 21943 Wicklow Way in the West Central neighborhood, Maple Ridge. This is an opportunity to visit this excellent House for sale in beautiful West Central. I just sold this House at 11602 225 STREET, Maple Ridge, BC East Central. We are proud to announce that this Nov 20th, 2:00 PM to 4:00 PM we will be hosting an Open House at 21943 Wicklow Way in the West Central neighborhood, Maple Ridge. This is an opportunity to visit this excellent House for sale in beautiful West Central. We are proud to announce that this Nov 13th, 2:00 PM to 4:00 PM we will be hosting an Open House at 21943 Wicklow Way in the West Central neighborhood, Maple Ridge. This is an opportunity to visit this excellent House for sale in beautiful West Central. We are proud to announce that this Nov 12th, 2:00 PM to 4:00 PM we will be hosting an Open House at 21943 Wicklow Way in the West Central neighborhood, Maple Ridge. This is an opportunity to visit this excellent House for sale in beautiful West Central. We are proud to announce that this Nov 3rd, 4:00 PM to 6:00 PM we will be hosting an Open House at 21943 Wicklow Way in the West Central neighborhood, Maple Ridge. This is an opportunity to visit this excellent House for sale in beautiful West Central. View my new listing for sale at 21943 Wicklow Way, Maple Ridge and currently listed at $749,000. We are proud to announce that this Nov 6th, 2:00 PM to 4:00 PM we will be hosting an Open House at 21943 Wicklow Way in the West Central neighborhood, Maple Ridge. This is an opportunity to visit this excellent House for sale in beautiful West Central. We are proud to announce that this Nov 5th, 2:00 PM to 4:00 PM we will be hosting an Open House at 21943 Wicklow Way in the West Central neighborhood, Maple Ridge. This is an opportunity to visit this excellent House for sale in beautiful West Central. I just sold this Condo at 203 668 West 16th Avenue, Vancouver, BC Fairview/Cambie. We are proud to announce that this Oct 9th, 2:00 PM to 4:00 PM we will be hosting an Open House at 668 West 16th Avenue in The Mansions in the Fairview/Cambie neighborhood, Vancouver. This is an opportunity to visit this excellent Condo for sale in beautiful Fairview/Cambie. We are proud to announce that this Oct 8th, 2:00 PM to 4:00 PM we will be hosting an Open House at 668 West 16th Avenue in The Mansions in the Fairview/Cambie neighborhood, Vancouver. This is an opportunity to visit this excellent Condo for sale in beautiful Fairview/Cambie. I have just recently sold this listing at 203 - 668 W 16th Avenue, Vancouver. I just sold this House at 4945 CHALET PLACE, North Vancouver, BC Canyon Heights NV. I just sold this Condo at 1003 565 Smithe Street, Vancouver, BC Yaletown. I just sold this Townhouse at 4 220 11TH STREET, North Vancouver, BC Central Lonsdale. We are proud to announce that this Jul 31st, 2:00 PM to 4:00 PM we will be hosting an Open House at 565 Smithe Street in Vita in the Yaletown neighborhood, Vancouver. This is an opportunity to visit this excellent Condo for sale in beautiful Yaletown. We are proud to announce that this Jul 28th, 5:00 PM to 7:00 PM we will be hosting an Open House at 565 Smithe Street in Vita in the Yaletown neighborhood, Vancouver. This is an opportunity to visit this excellent Condo for sale in beautiful Yaletown. I just sold this Condo at 302 1008 CAMBIE STREET, Vancouver West, BC Yaletown. I just sold this Condo at 803 628 KINGHORNE MEWS, Vancouver West, BC Downtown VW. I just sold this Townhouse at 4455 9TH AVENUE, Vancouver West, BC Point Grey. I just sold this Condo at 305 1189 HOWE STREET, Vancouver West, BC Downtown VW. I just sold this Apartment at 208 215 Twelfth Street, New Westminster, BC Uptown. I just sold this Condo at 1808 188 KEEFER PLACE, Vancouver West, BC Downtown VW. I have just recently sold this listing at 208 - 215 Twelfth Street, New Westminster. We are proud to announce that this Jun 25th, 2:00 PM to 4:00 PM we will be hosting an Open House at 215 Twelfth Street in Discovery Reach in the Uptown neighborhood, New Westminster. This is an opportunity to visit this excellent Apartment for sale in beautiful Uptown. View my new listing for sale at 2201 - 1500 Howe Street, Vancouver and currently listed at $1,148,000. View my new listing for sale at 1504 - 1146 Harwood Street, Vancouver and currently listed at $359,000. View my new listing for sale at 812 - 250 E 6th Avenue, Vancouver and currently listed at $499,000. View my new listing for sale at 1005 - 565 Smithe Street, Vancouver and currently listed at $730,000. I just sold this House at 3535 23RD AVENUE, Vancouver West, BC Dunbar. We are proud to announce that this Apr 27th, 10:00 AM to 12:00 PM we will be hosting an Open House at 3535 23RD AVENUE in the Dunbar neighborhood, Vancouver West. This is an opportunity to visit this excellent House for sale in beautiful Dunbar. I have just recently sold this listing at 3535 W 23rd Avenue, Vancouver. I just sold this Condo at 304 1108 NICOLA STREET, Vancouver West, BC West End VW. I just sold this Condo at 902 1189 HOWE STREET, Vancouver West, BC Downtown VW. I just sold this Condo at 1206 2450 Alpha Avenue, Burnaby , BC Brentwood . I just sold this Condo at 3904 1077 CORDOVA STREET, Vancouver West, BC Coal Harbour. I just sold this Condo at 3503 833 SEYMOUR STREET, Vancouver West, BC Downtown VW. I just sold this Condo at 806 27 ALEXANDER STREET, Vancouver East, BC Downtown VE. I just sold this Condo at 1101 588 BROUGHTON STREET, Vancouver West, BC Coal Harbour. 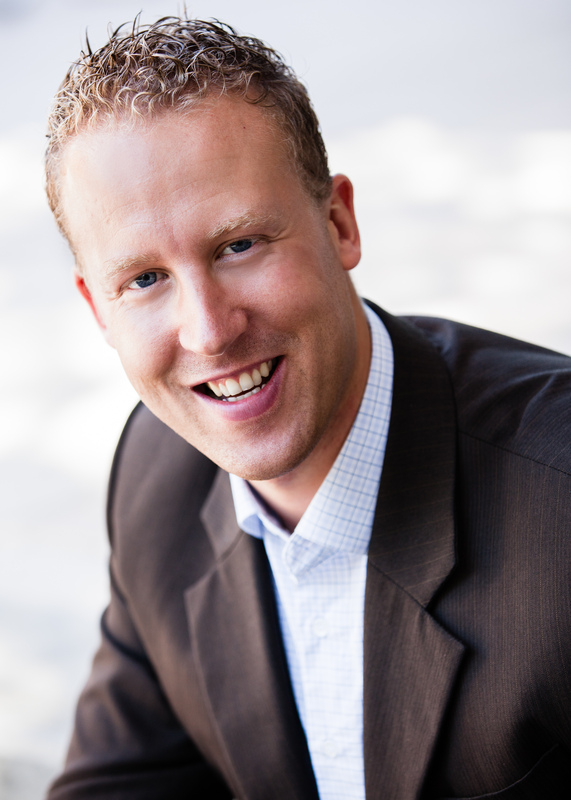 As a Engel & Völkers Vancouver Realtor, Gaëtan has access to hightly advanced digital platforms and world-class tools, systems and marketing products that have been developed and designed to maintain our reputation as a premium client service provider. 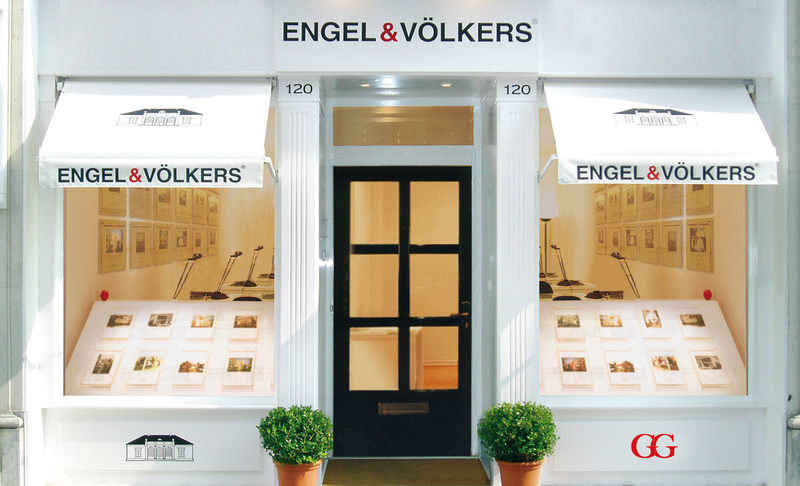 Engel & Völkers, The World's Finest Real Estate Since 1977.
International Luxury Real Estate Engel and Völkers launches first brokerage in Vancouver on December 1st, 2015. It is with great pleasure that I would like to inform you of a fantastic change that has come to our brokerage, one that will allow me to serve you even better. I just sold this Townhouse at 1378 Seymour street, Vancouver, BC Yaletown. I just sold this Apartment at 903 1255 Seymour Street, Vancouver, BC Yaletown. I just sold this Condo at 805 821 CAMBIE Street, Vancouver West, British Columbia Downtown VW. I just sold this Condo at 607 251 7TH Ave E, Vancouver East, British Columbia Mount Pleasant VE. I just sold this Townhouse at 1489 HORNBY STREET, Vancouver West, BC Yaletown. View my new listing for sale at 803 - 550 Pacific Street, Vancouver and currently listed at $525,000. I have just recently sold this listing at 607 - 251 E 7th Ave, Vancouver. View my new listing for sale at Ph601 - 499 Drake Street, Vancouver and currently listed at $4,890,000.